Many women have never experienced wearing false lashes and consequently they don't believe they want or need them. However, most photographers will tell clients to wear lashes if possible. I always allow my clients to try false lashes at their trial run consultations to see how they like them. Most of the time, clients love the way their eyes look with lashes and are sold on the benefits right away. Nikki was one of my bridal clients last fall and I am so happy that she gave me permission to share her thoughts on eyelashes with you. Her thoughts are repeated in various conversations I've had after several trial runs. Of course, I do have a handful of clients who decided they wouldn't wear them, but I am always disappointed they opt out, because I know the lashes would add another dimension to the photos. Before you decide one way or the other, let me give you some more information about false lashes. There are numerous styles of lashes to choose from. Many lash styles are long and dramatic, but there are lots of styles that are very, very natural. To prove it, I have some side-by-side comparisons for you to view. These photographs were taken this weekend at one of my weddings and I would like to thank Jason Snow Photography for sharing these images with me. 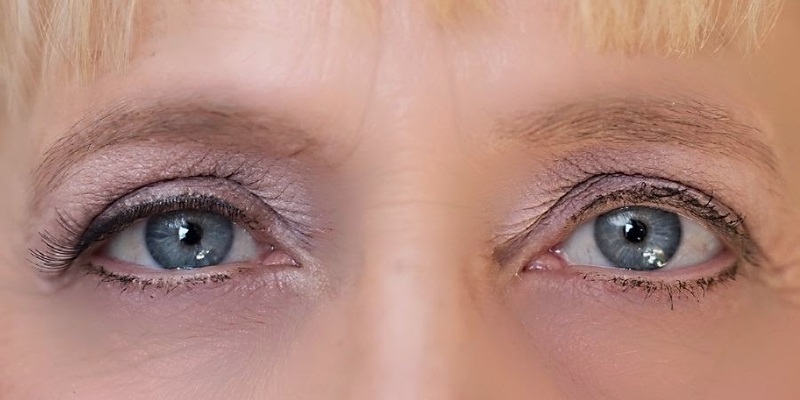 All 3 pairs of the eyes below also had mascara on them, so you will have to imagine the dramatic difference in eyes that did not have mascara on them first. Please note that we were still in the process of doing makeup, so stray makeup marks were cleaned up after the face was completely finished. If you wear contacts you can wear false lashes! I have heard that people who do not wear contacts find them more comfortable than those of us who do wear contacts, but don't let contacts detour you! As you can see, lashes look GREAT! If you have sensitive eyes you can wear false lashes! I used to avoid lashes because I was afraid the glue would bother me, but once I tried them without an incident, I was hooked on the look! It is much easier to apply false lashes on someone else than it is to apply them to yourself, but you can master applying your own lashes with practice! I hope my post helps you decide to give false lashes a chance, as I believe they are worth it!